The JUFA Hotel Leibnitz – Sport-Resort*** is located in the middle of the idyllic Nature Park “Southern Styrian Wine Country” and offers sportsminded, active holidaymakers, seminar participants, classes and groups a relaxing break for body and mind. The charming area around the wine town of Leibnitz is also a paradise for wine lovers and known for their picturesque vineyards. Along the Styrian Wine Route you will find excellent wineries, such as the “Weinbauschule Silberberg”, where you can enjoy fine wines. Our resort features a sports campus with a special infrastructure, which leaves nothing to be desired for a true sportsman: Additionally to a multi-purpose sports hall with a stage, it offers a judo hall (DOJO), an indoor sprint gear & archery room, a power gym, as well as a spacious sauna and relaxation area. The hall is particularly suitable for all ball sports. The Styrian Tennis Academy, an outdoor swimming pool and several athletic facilities are right next door. For bathing and swimming fans, we also recommend the Sulmsee lake, which is approximately three kilometres away, a magnificent recreational jewel in the heart of southern Styria. The great location, a modern seminar room with a view of the Seggauberg mountain and many sports and leisure facilities, make the JUFA Hotel Leibnitz – Sport-Resort*** in southern Styria an ideal venue for seminars, workshops and conferences. The region around the hotel is also known as the cycling centre of Styria. Numerous cycling and walking routes lead to exciting excursion destinations, such as the Roman ruins of the former city of Flavia Solva, or to the vineyards around Seggau Castle. There are up to 10 e-bikes available in our e-bike box. Certainly every guest will find the e-bike that suits him. Nothing is in the way of an eventful day! Sports, musical and other cultural events invite the locals, as well as guests to entertaining gatherings. Don’t miss the opportunity to visit one of the numerous taverns enjoy some homemade regional delicacies! The Mediterranean influences in the region’s cuisine are particularly interesting from a gastronomical point of view, as well as the wines, which mature in the upper locations along the South Styrian Wine Road. The mild climate does not only appeal to the grapes, but people also benefit from it – find out for yourself! The JUFA Hotel Leibnitz – Sport-Resort*** is located in Leibnitz directly next door to the Styrian Tennis Academy and the outdoor swimming pool. It can be quickly and conveniently accessed by car. Guests can make use of the free parking spaces just next to the hotel for cars and buses. From Graz: Follow the A9 to Stangersdorf in Lang, take exit 208-Lebring on the A9 – L602, Jösserstraße, Langstraße, Sulmtal Str./B74 to Altenmarkt in Leibnitz – the JUFA Hotel Leibnitz is on the right hand side. Enjoy carefree bike rides! 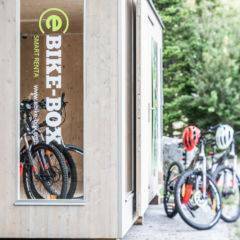 In our e-bike box up to 10 e-bikes are available. Certainly every guest will find the e-bike that suits him. Nothing is in the way of an eventful day! The South Styrian Wine Route is a paradise for active nature lovers and connoisseurs. From Straß via Ehrenhausen and Leutschach to Arnfels and Oberhaag, leisurely walks and bike rides are accompanied by a wonderful view of picturesque vineyards. Numerous restaurants provide welcome breaks, where you get regional delicacies and a glass of good wine. Flavia Solva is located in the small market town of Wagna. It is the only Roman town in Styria and is one of the most important Roman sites in the country. Exhibits from over 100 years of archaeological research provide an insight into the Roman way of life at the original site which has been recently redeveloped. The museum is freely accessible all year round as a display case that can be viewed from the outside. The „Steinernen Wehr“ is the oldest river bath of Styria and especially in the summer a welcome refreshment. In this natural oasis young and old have the opportunity to swim, play and relax. Variety is ensured by a leisurely canoe trip. The JUFA Hotel Leibnitz – Sport-Resort*** is not only a popular holiday destination, but also provides an expert service for businesses wishing to hold seminars, training events, team meetings or workshops that are run over several days. Like the many other JUFA hotels, this is a perfect venue for your seminars, conferences and events. You will find further information on our seminar packages here. Our hotel team will be happy to provide you with further information. Carefree biking pleasure for families, groups, couples or lone cyclists! The JUFA Hotel is located directly on the European cycling classic and offers the perfect place for rest and relaxation! 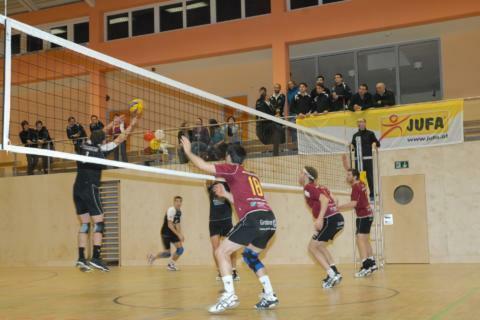 In the delightful rolling hills of southern Styria everything revolves around racket sports. The JUFA Hotel Leibnitz – Sport-Resort*** and the tennis academy that is located directly next to the hotel are the beating heart of Austrian tennis. However, footballers and athletes can also make use of the excellent training facilities here. 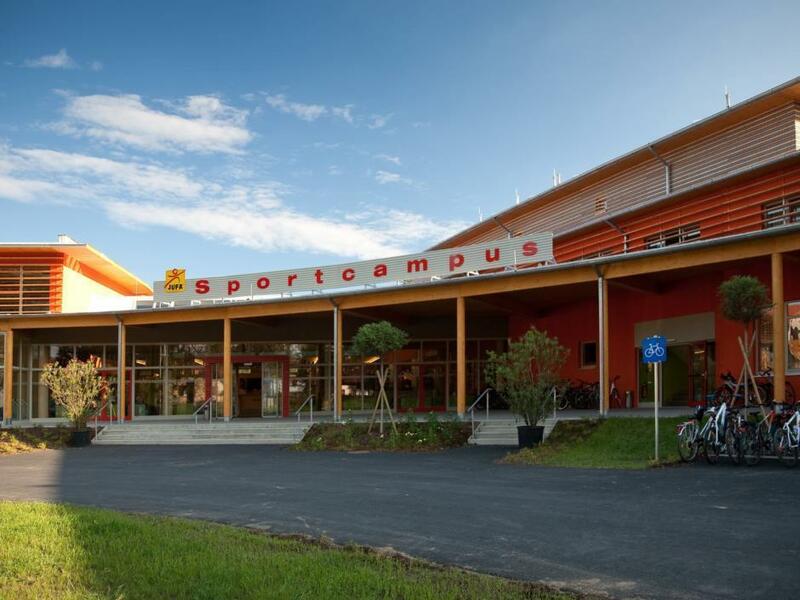 At the Sportcampus, a multi-purpose sports hall is available for all kinds of balls with a judo hall (DOJO) and an indoor sprint and archery room. Directly next door is the Styrian Tennis Academy, an outdoor swimming pool and athletics facilities. A strong team spirit and a positive working atmosphere cannot always be taken for granted. However, the ability to develop trusting working relationships can be learned. The JUFA Hotel Leibnitz – Sport-Resort*** has the perfect facilities to suit your particular requirements, whether you are supervising a programme for school-aged children or running training activities for an association or a company. "Sehr bemüht um Ihre Gäste"
"Wir haben uns sehr wohlgefühlt." "Wir waren begeistert und kommen sehr gerne wieder"
"Fussballtrainingslager - nächstes Jahr wieder!" "Es ist eintach toll und einfach und es gibt genug "
"Würde wieder dort einkehren. Hat alles gepasst." The hotel manager Viktoria Baldauf and her team are available to answer your questions at any time! Im interested in the offer "JUFA Hotel Leibnitz – Sport-Resort***" in the .